DЭrer, Albrecht (b. 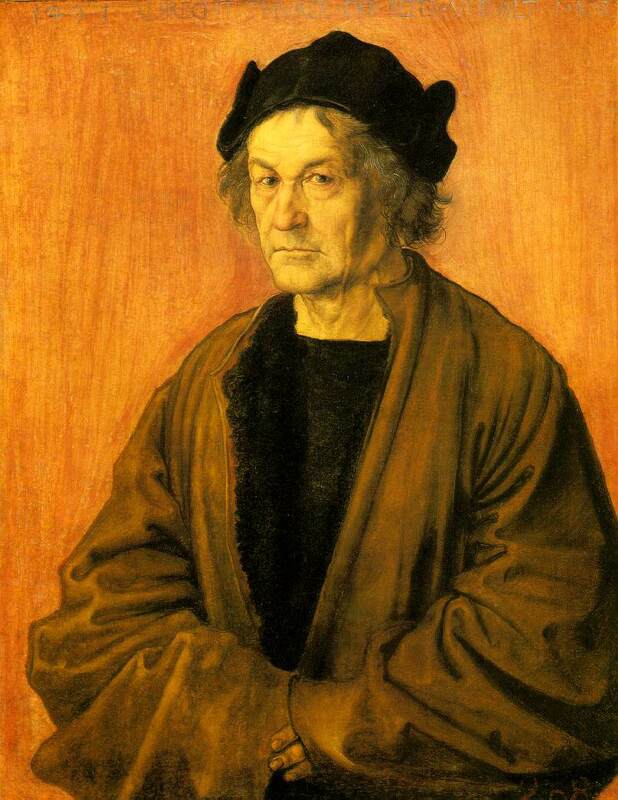 May 21, 1471, Imperial Free City of NЭrnberg [Germany]--d. April 6, 1528, NЭrnberg), painter and printmaker generally regarded as the greatest German Renaissance artist. His vast body of work includes altarpieces and religious works, numerous portraits and self-portraits, and copper engravings. His woodcuts, such as the Apocalypse series (1498), retain a more Gothic flavour than the rest of his work. German painter, printmaker, draughtsman and art theorist. Born in NЭrnberg as the third son of the Hungarian goldsmith Albrecht DЭrer. Began as an apprentice to his father in 1485, but his earliest known work, one of his many self portraits, was made in 1484. Died in NЭrnberg in 1528. During 1513 and 1514 DЭrer created the greatest of his copperplate engravings: the Knight , St. Jerome in His Study , and Melencolia I --all of approximately the same size, about 24.5 by 19.1 cm (9.5 by 7.5 inches). The extensive, complex, and often contradictory literature concerning these three engravings deals largely with their enigmatic, allusive, iconographic details. Although repeatedly contested, it probably must be accepted that the engravings were intended to be interpreted together. There is general agreement, however, that DЭrer, in these three master engravings, wished to raise his artistic intensity to the highest level, which he succeeded in doing. 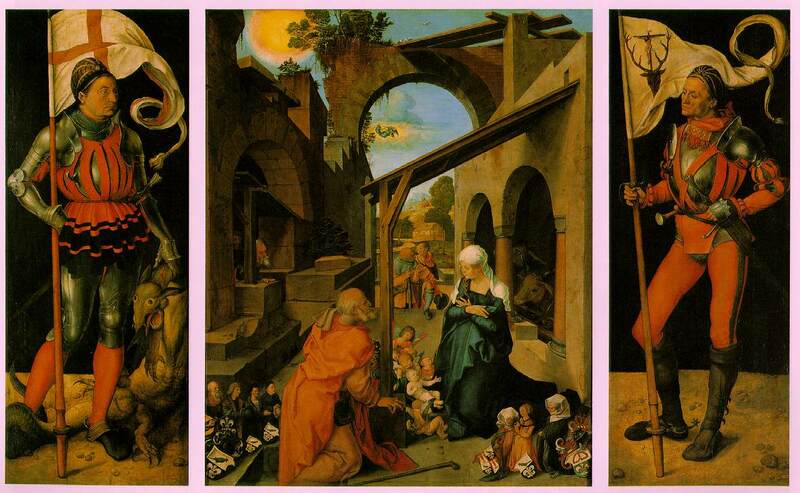 Finished form and richness of conception and mood merge into a whole of classical perfection. La Fete du rosaire (1506). Tempera a l'huile sur bois, 162 x 192 cm. Prague, Galerie nationale. DЭrer was so great an artist, so searching and all-encompassing a thinker, that he was almost a Renaissance in his own right -- and his work was admired by contemporaries in the North and South alike. The 16th century saw the emergence of a new type of patron, not the grand aristocrat but the bourgeois, eager to purchase pictures in the newly developed medium of woodcut printing. The new century also brought an interest in Humanism and science, and a market for books, many of which were illustrated with woodcuts. 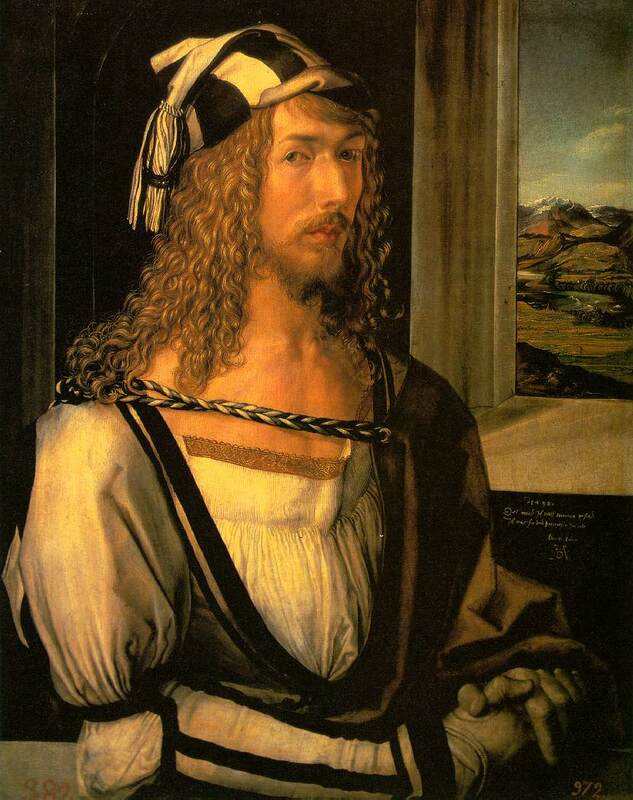 The accuracy and inner perception of DЭrer's art represent one aspect of German portraiture; another is seen in the work of that master of the court portrait, Holbein. 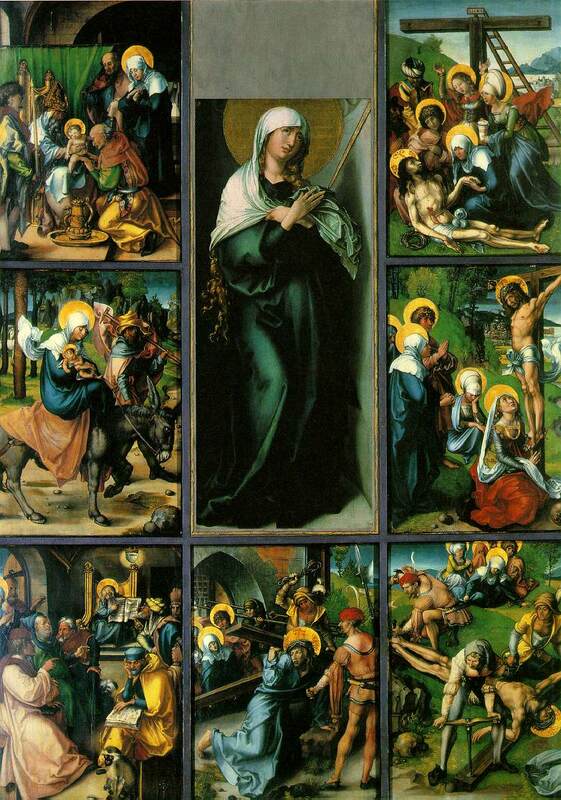 Impressive though others may be, the great German artist of the Northern Renaissance is Albrecht DЭrer (1471-1528). We know his life better than the lives of other artists of his time: we have, for instance, his letters and those of his friends. DЭrer traveled, and found, he says, more appreciation abroad than at home. The Italian influence on his art was of a particularly Venetian strain, through the great Bellini, who, by the time DЭrer met him, was an old man. 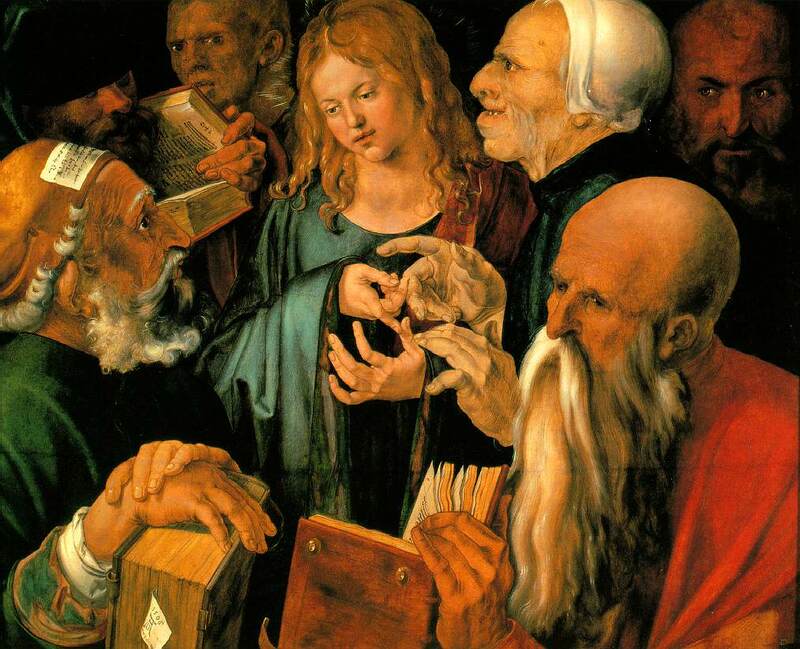 DЭrer was exceptionally learned, and the only Northern artist who fully absorbed the sophisticated Italian dialogue between scientific theory and art, producing his own treatise on proportion in 1528. But although we know so much about his doings, it is not easy to fathom his thinking. DЭrer seems to have united a large measure of self-esteem with a deep sense of human unfulfillment. There is an undercurrent of exigency in all he does, as if work was a surrogate for happiness. He had an arranged marriage, and friends considered his wife, Agnes, to be mean and bad-tempered, though what their real marital relations were, nobody can tell. For all his apparent openness, DЭrer is a reserved man, and perhaps it is this rather sad reserve that makes his work so moving. The Germans still tended to consider the artist as a craftsman, as had been the conventional view during the Middle Ages. This was bitterly unacceptable to DЭrer, whose second Self-Portrait (out of three) shows him as slender and aristocratic, a haughty and foppish youth, ringletted and impassive. His stylish and expensive costume indicates, like the dramatic mountain view through the window (implying wider horizons), that he considers himself no mere limited provincial. What DЭrer insists on above all else is his dignity, and this was a quality that he allowed to others too. Even a small and early DЭrer has this momentousness about it. His Madonna and Child , which manifestly follows the Venetian precedent of the close-up, half-figure portrait, was once thought to be by Bellini. To DЭrer, Bellini was an example of a painter who could make the ideal become actual. But DЭrer can never quite believe in the ideal, passionately though he longs for it. 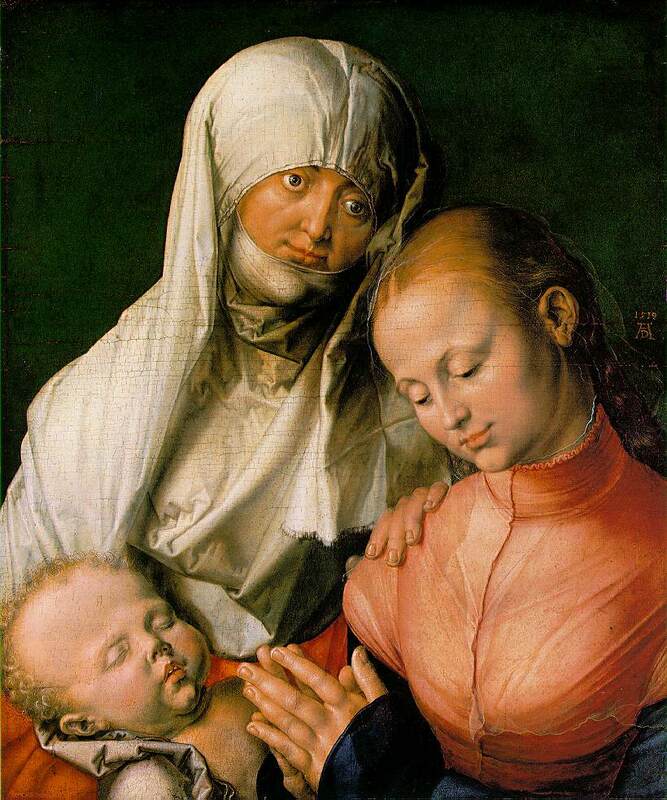 His Madonna has a portly, Nordic handsomeness, and the Child a snub nose and massive jowls. 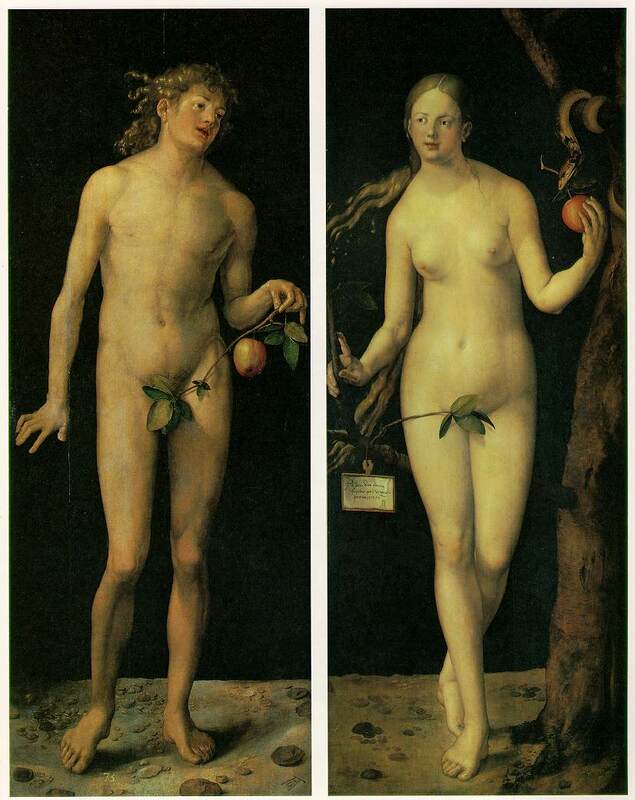 All the same, He holds His apple in exactly the same position as in DЭrer's great engraving of Adam and Eve, and this attitude is pregnant with significance. 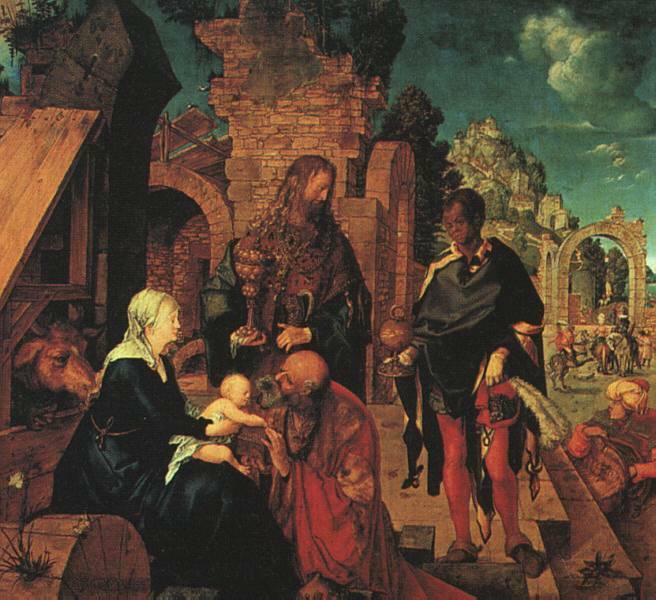 The Child seems to sigh, hiding behind His back the stolen fruit that brought humanity to disaster and that He is born to redeem. On one side is the richly marbled wall of the family home; on the other, the wooded and castellated world. The sad little Christ faces a choice, ease or the laborious ascent, and His remote Mother seems to give Him little help. Beautiful though the work is in color, and fascinating in form, it is this personal emotion that always makes DЭrer an artist who touches our heart, somehow putting out feelers of moral sensibility. There is almost obsessive quality about a great DЭrer. One feels the weight of a sensibility searching into the inner truth of his subject. It is this inwardness that interests DЭrer, an inner awareness that is always well contained within the outer form (he is a great portrait painter) but that lights it from within. 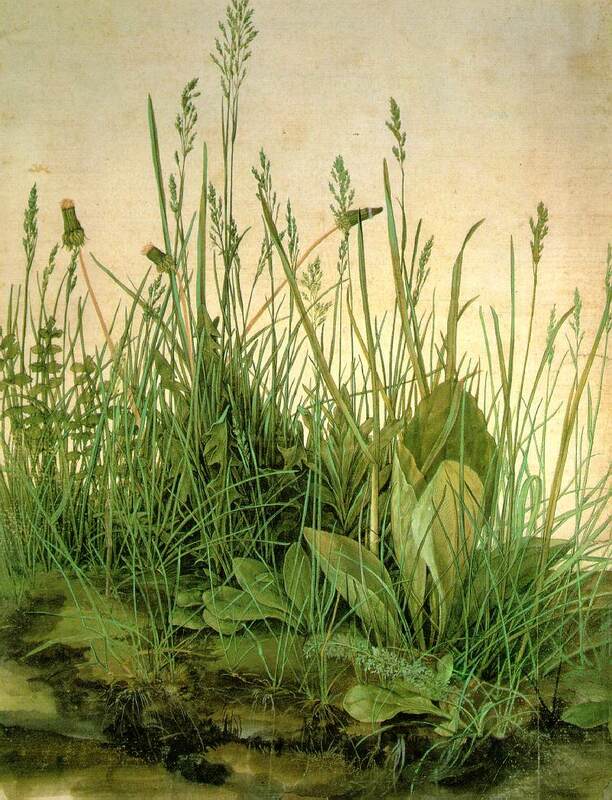 Having rejected the Gothic art and philosophy of Germany's past, DЭrer is the first great Protestant painter, calling Martin Luther ``that Christian man who has helped me out of great anxieties''. These were secret anxieties, that hidden tremulousness that keeps his pride from ever becoming complacent. 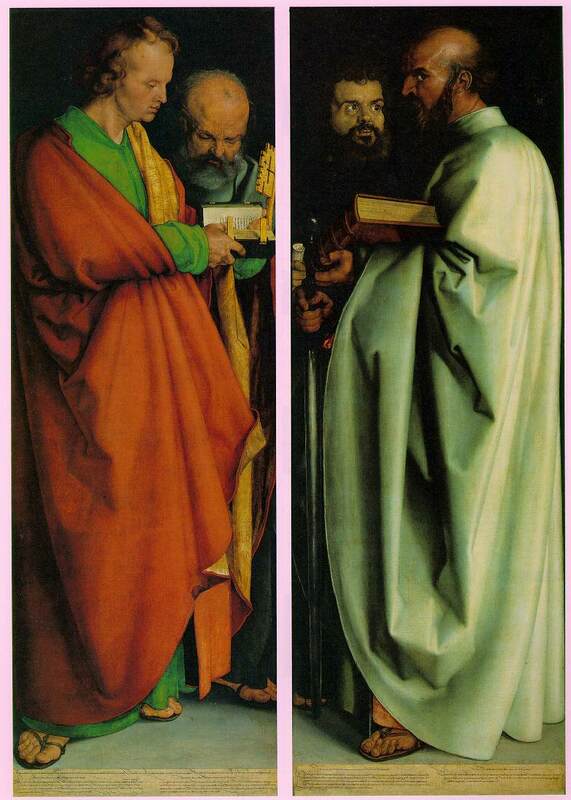 Although there is no reason why any Catholic artist should not have painted The Four Apostles , nor why such an artist should not equally have chosen first John and Peter (indisputably biblical Apostles), then Paul and Mark (mere disciples, not ordained by Christ in the Gospel story, though they were great preachers of the Word), it strikes a definitely Protestant note. These four embody the four temperaments: DЭrer had a consistent interest in medicine and its psychological concomitants, since in some way he found humankind mysterious, and it was a mystery he pondered constantly. DЭrer came from a Hungarian family of goldsmiths, his father having settled in Nuremberg in 1455. In The Painter's Father DЭrer shows the face with respectful sensitivity. The technique is pencil-like, precise, and enquiring; the description achieved has a hard brilliance. However, the rest of the picture may be incomplete, or not all DЭrer's work. The rudimentary background is a far cry from the detailed one in DЭrer's own Self-portrait , and the sitter's clothing is hardly more than sketched in.